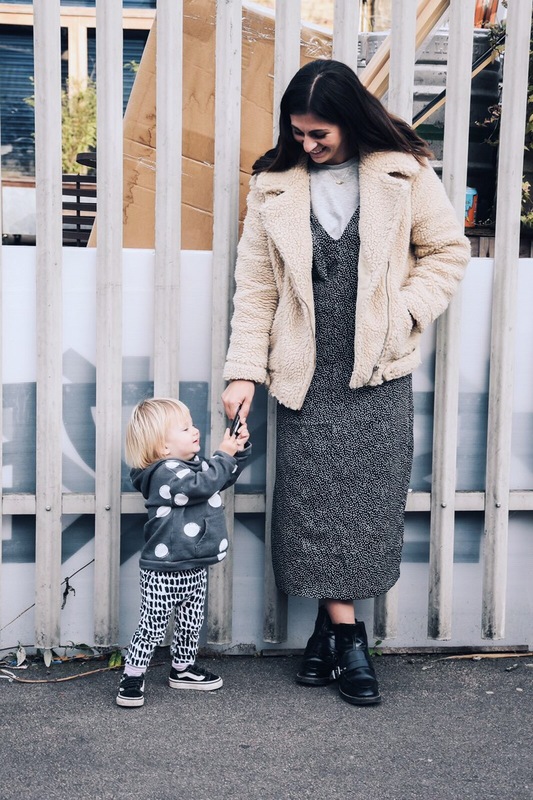 THE MIDDLE MAMA is a blog written by Franki, a twenty-something mum living in East London with a sit-on-the-fence approach to parenting. Rarely sitting in a camp, usually hanging out in the middle. Because, ain’t most of us? I have always been a Half-a-Job-Harry kinda girl. It used to annoy me but I’ve succumbed to it now. I start things and don’t often finish them. Like the time I started ballet classes at uni (who was I kidding?) Or when I signed up to run the Hackney Half marathon and gave up half way through training (it’s really, very far!) I’m a bit of a dreamer. I have loads of ideas, some that I actually think are pretty great. But I don’t follow through. I’m not sure if it’s a confidence thing or a lazy thing but it’s definitely a me thing. Being an ‘in the middle’ kind of person, has it’s perks. You rarely get stressed from pushing yourself too hard, you don’t overthink things and importantly, you spend a lot of your time doing what you want rather than what you think you should be doing. The downside however, is that you’re unlikely to ever be destined for greatness by hanging out in the middle. Whilst pregnant, I spent a lot of time thinking about the kind of parent that I wanted to be. I was inspired by the gentle approach of parents who followed their children’s interests, co-slept, breastfed on demand, baby led weaned and used nature and wooden toys for play. It seemed natural, calm and earthy and drew upon the early years training that I had from my job. That’s the kind of mother I would be. Forest school, messy play, child-led. Next, I discovered a more cosmopolitan mama, primarily through blogs and Instagram. Mama’s that shopped small and dressed their kids in cool, independent brands. Un-musmy mama’s, that wore make up and went to events and did fun things in the city (sometimes with kids, sometimes without.) Mothers who weren’t afraid to admit that, despite having kids, drinking and socialising is STILL fun. Wait? Surely this was more me! None of my closest friends have babies and I still want to be able to hang out in the pub with them. I like having fun! I definitely still want to enjoy the same kinds of clothes and I want my baby to wear cool threads too. Aha! This is the kind of mother I was to be. Modern, young, fun. Fast forward until now and I am a real mama to Mally, the apple of my eye! What kind of parent am I though? True to form, I am a Middle Mama, and sitting on the fence never felt so good.